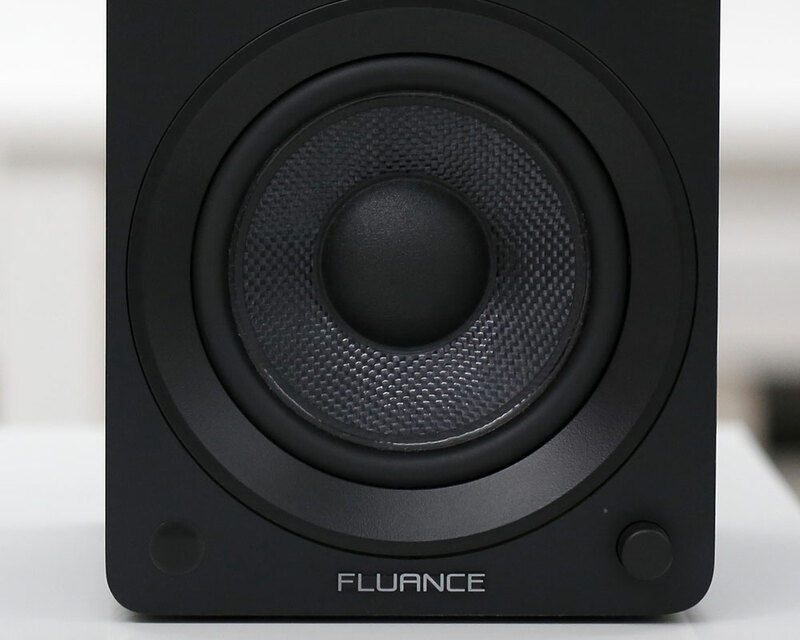 Fluance Ai40 5” Powered Bookshelf Speakers, to deliver room-filling stereo sound. 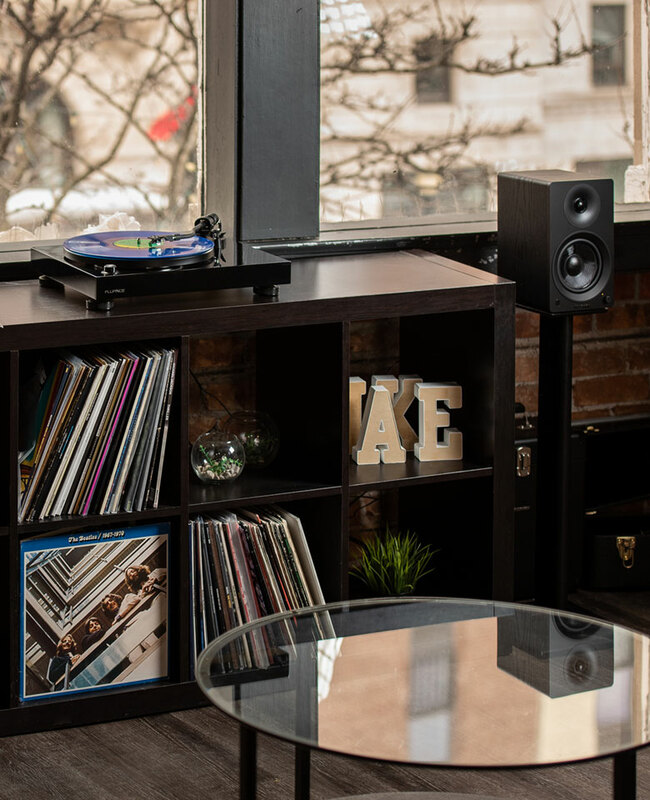 Bookshelf Speakers, to deliver room-filling stereo sound. immerse yourself in the music. 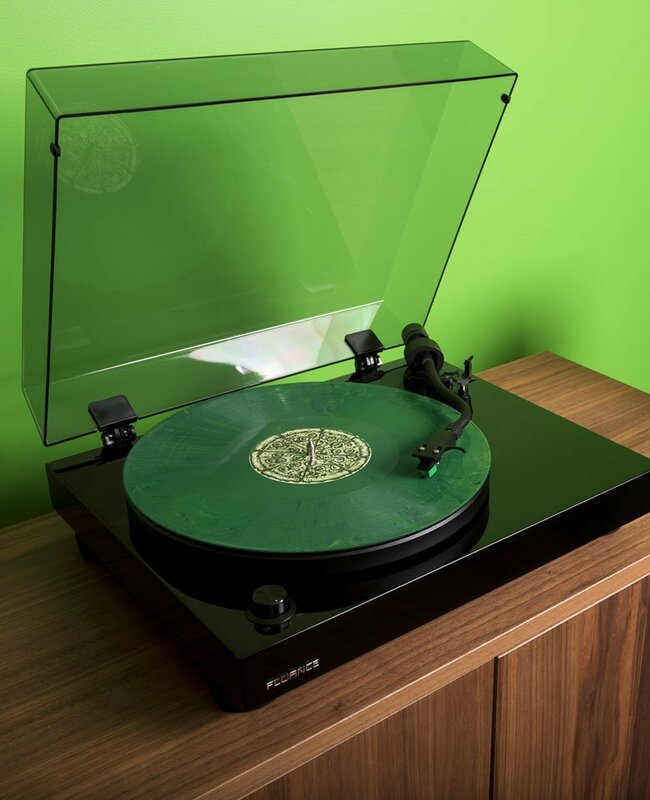 Fluance’s Elite HiFi Turntable plays records with stunning quality that achieves the purest sound reproduction. 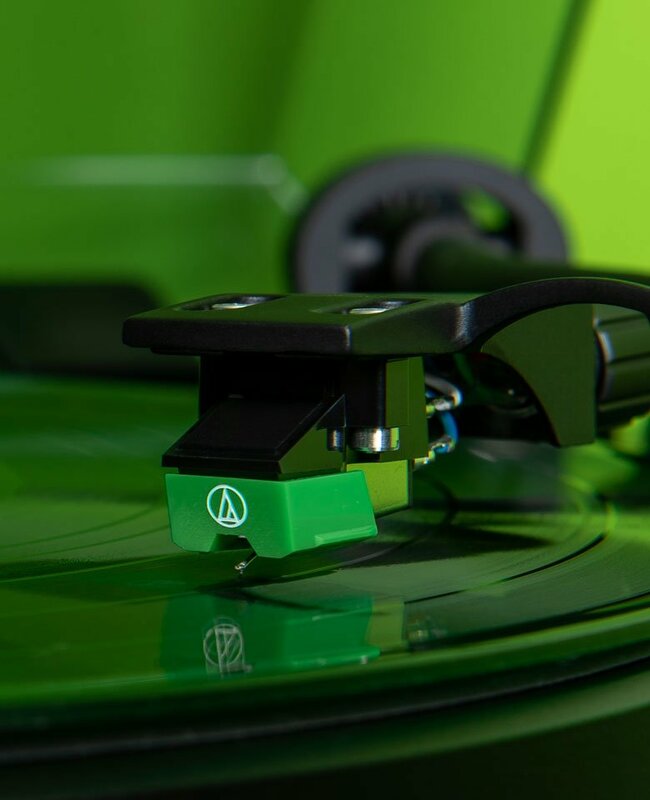 speakers, drop the needle, and immerse yourself in the music. for its freedom from noise and distortion, clarity on musical peaks, and channel balance. fidelity sound in its truest form. high fidelity sound in its truest form. The Ai40 speakers include an integrated 70W class D amplifier that delivers a robust, powerful sound. singer was performing in your home. Bluetooth to stream all your favorite music apps. control lets you switch over to aptX enhanced Bluetooth to stream all your favorite music apps. 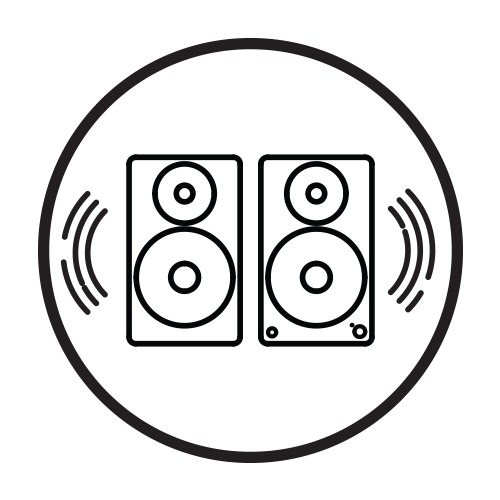 through RCA without the need for a separate amplifier or AV receiver. 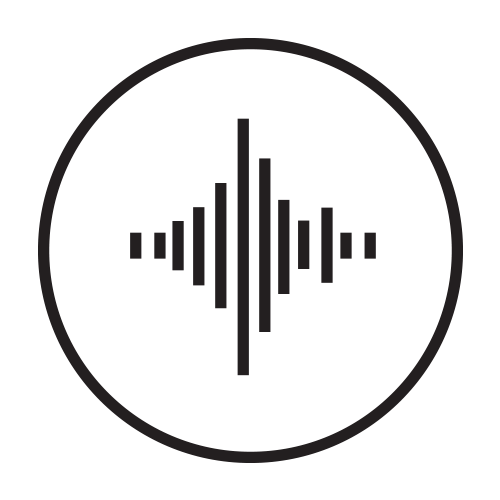 stream all your favorite music apps. Sounds great. Easy set-up. The speakers work well with the turntable. With a pre-amp already in the turntable and active speakers, it is ready to go out of the box. This is a very good combo for a newcomer to vinyl. The turntable is well built and the sound quality out of the speakers are superb. The speakers have a very deep bass which is amazing for their size. The only downside I have against this combo is I didn't know the RT81 doesn't have adjustable feet so it's not very easy to adjust out of the box. 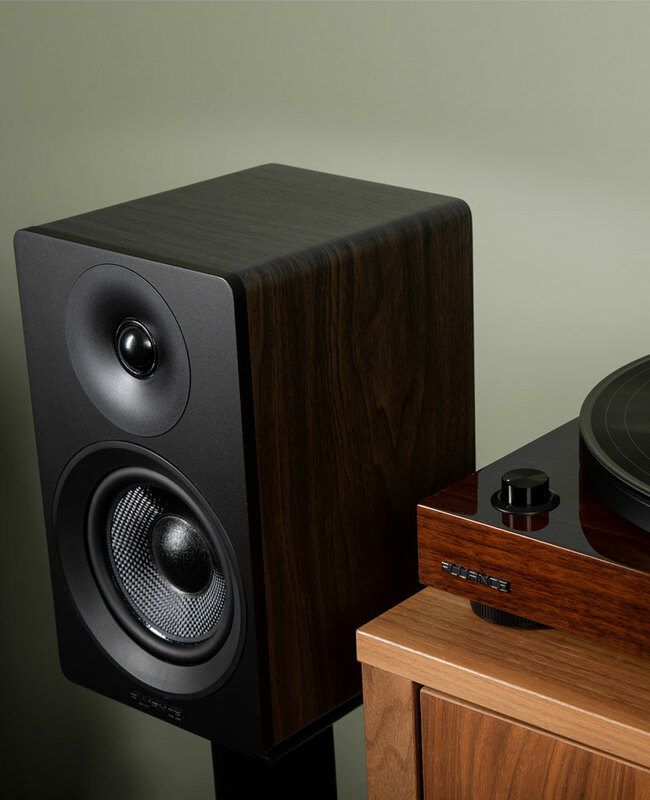 Very nice deal for turntable and speakers bundle. The speakers are a bit smaller than I anticipated but they packed a deep and powerful bass. I have never owned a turntable before but overall I liked the sound and build quality of RT81. I’m also a bit surprised that the feet of RT81 is not height adjustable so it was a bit tricky to get the perfect level. That’s the only downside I have found in the turntable. excellent rapport qualité/prix ! Le son est magnifique et le look est incroyable ! After doing lots of research to figure out which turntable setup someone should buy who is new to the hobby but wants a great experience, I found Fluance. The quality is obvious as soon as you open the box. 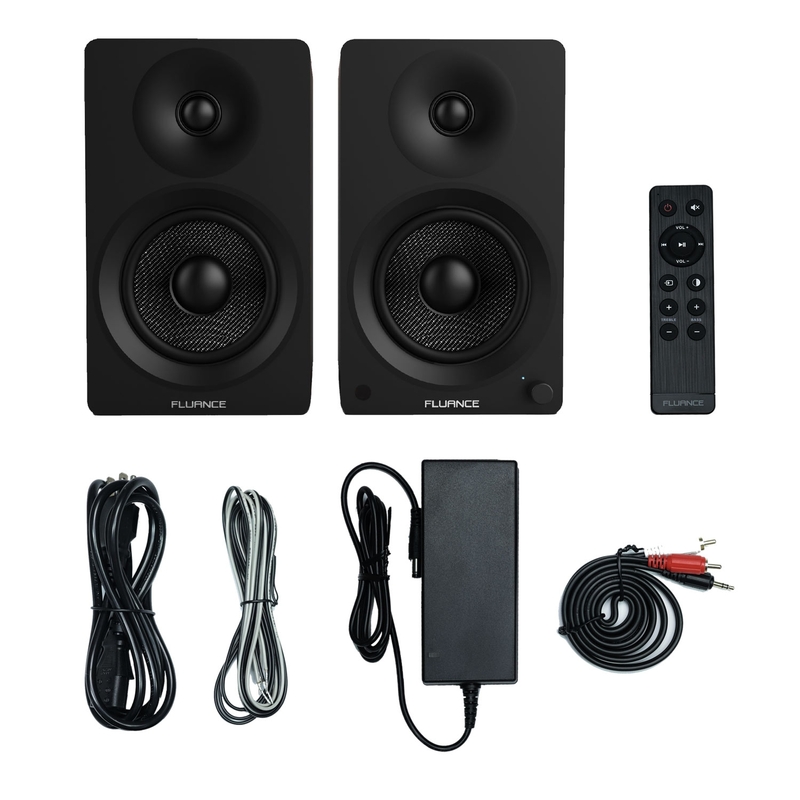 The RT81 and Ai40 speakers are very well constructed and feel like they are worth more than you pay. Setup was extremely easy, I watched a short video on YouTube that Fluance made about setup and in no time I was listening to my first record. Great quality sound and it looks amazing too. I couldn’t be happier. The products are incredible. 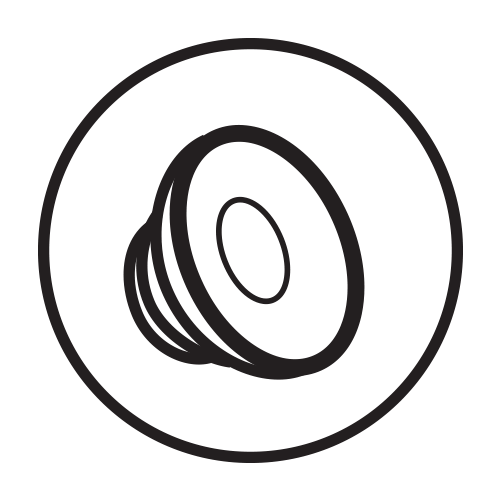 The turntable is strongly build, the set-up is really easy to follow. And it plays really beautifully. I also added the bookshelf speakers to my set-up and they are really impressive too. The sound is amazing. For the price, I was not expecting something as good as that. So the whole set-up with the turntable is the perfect match. The speakers are also Bluetooth and they play really well too on this setting. Really I have nothing negative to say about those products. For the price the quality is amazing. The shipping was also really fast. 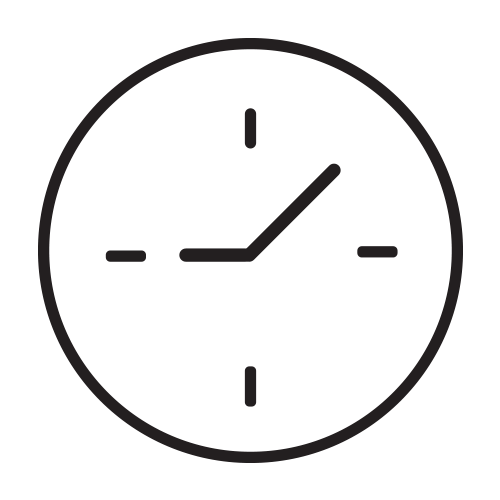 Thanks for the great products. 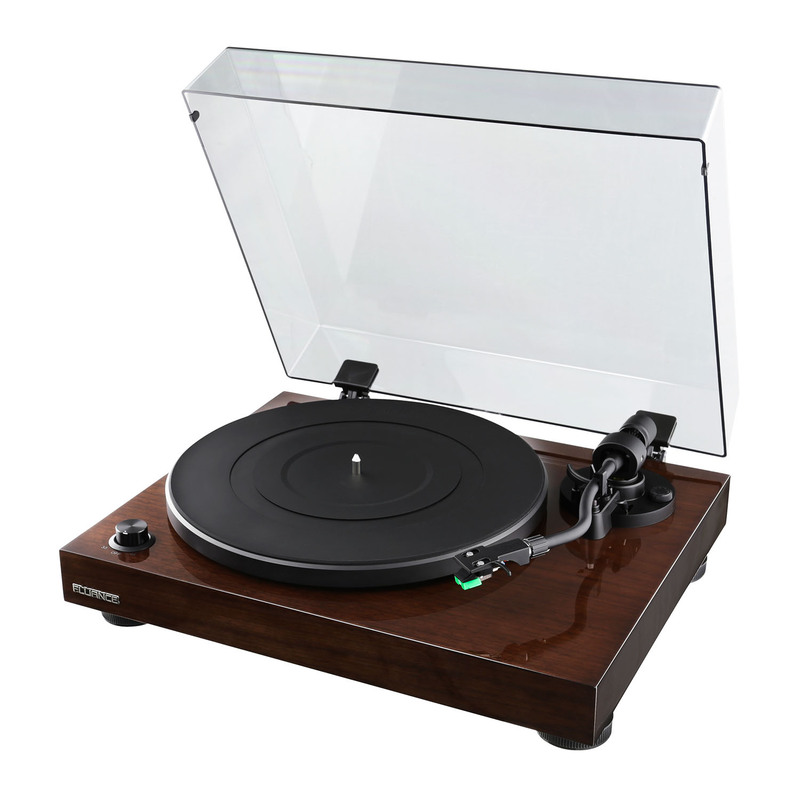 I just purchased this turntable and amplified speaker combo and couldnt be happier. The sound is amazing and the bluetooth on the speakers is easy to connect to several devices. Its been great to see why everyone is so hyped on vinyl, the sound is far superior! 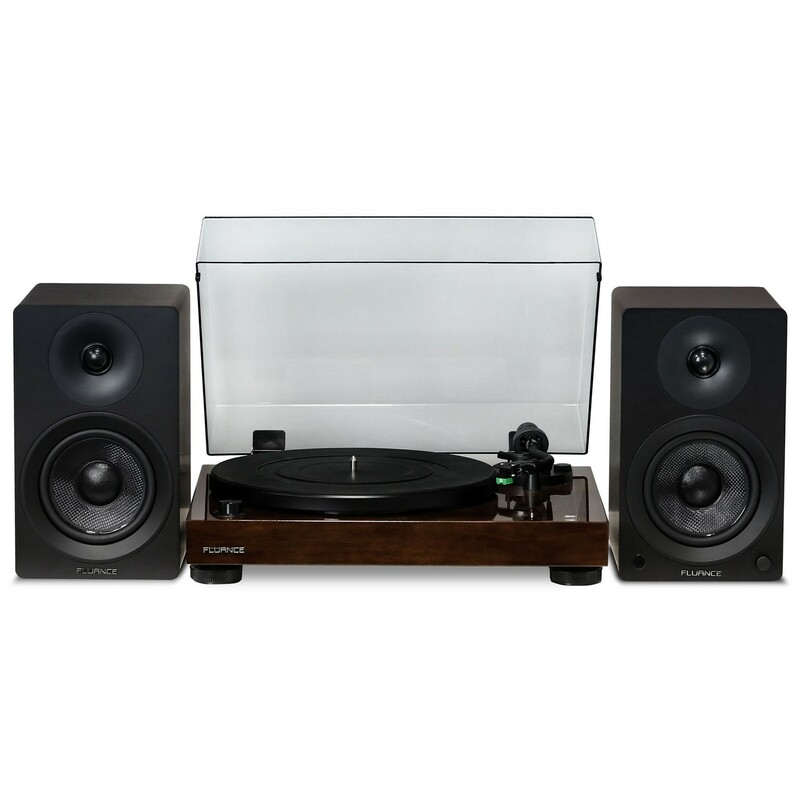 I spent a fair amount of time looking into entry level high end turntable, pre-amp, and powered bookshelf systems. For the price point, I couldn’t be happier with the system. Solid construction of the speaker boxes/turntable, and provides detailed quality sound to fill a small room. The removable head shell for cartridge upgrades is a great plus as well. Would definitely recommended to a friend. Santa brought me this whole package for Christmas! I guess I was very good. SOOOO Happy! I purchased this product this summer and couldn’t be happier. Looks great and has amazing warm tone. Awesome setup for the price. No! Everything you need to enjoy your favourite albums is included in this bundle. 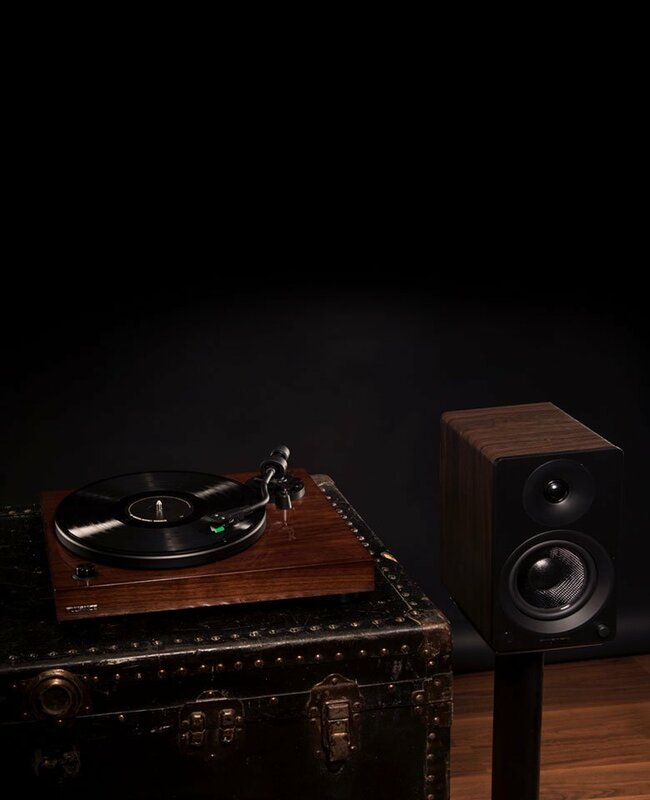 The Ai40 speakers are powered and the RT80 Turntable includes an internal preamp so no additional equipment is required! The tonearm of the RT80 and RT81 model turntables is compatible with cartridges from 3.5 grams to 6.5 grams in weight. For a video walkthrough, click the link below.